Apparently Andrew is confined to his cell 24 hours a day-this is inhumane! In the midst of persecution and intense stress, Andrew has been inspired to write a worship song. During a visit last week by a delegation from the US Commission on International Religious Freedom (USCIRF), Andrew expressed his thanks to those praying and lobbying for his release. ‘Knowing that I am not forgotten is important to me,’ he said. Please use the words of Andrew’s song to inspire your prayers for Andrew and his wife, Norine: pray that God will fill them both with His peace and joy. Stress has caused Andrew to lose three-and-a-half stone in weight. Pray that Andrew’s legal team will have wisdom and courage in negotiating his release. Thank God that the Turkish Government is coming under increasing scrutiny over Pastor Andrew’s case, due to international prayer and advocacy. Pray they will release him soon. An American pastor who has been imprisoned for almost a year is now facing espionage charges. Andrew Brunson, who has lived in Turkey for 23 years, was arrested last October and accused of membership in an Islamic terrorist organization. According to World Watch Monitor, he told the court, “I would never support a Muslim movement. I started a church; I am a man of religion who did this with the state’s knowledge. 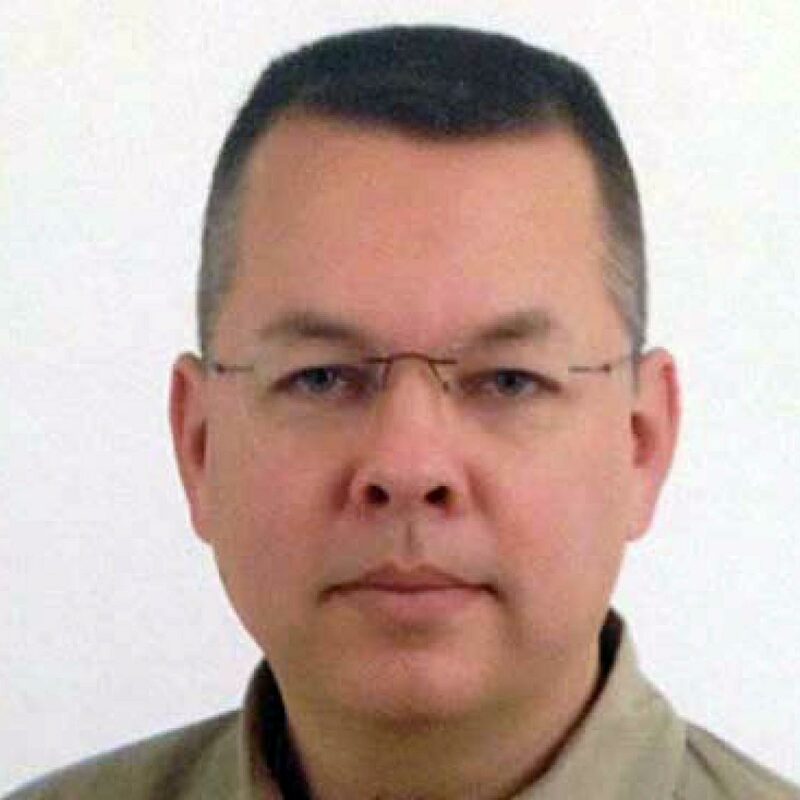 My aim is to tell about Jesus Christ.” Pray for Pastor Brunson and his family. Pray for his release from prison and that his testimony will have a wide-ranging effect on Turkish citizens. Pastor Andrew Brunson (left) has been behind bars in western Turkey since October – because officials suspect he’s a ‘terrorist’. In fact, he and his wife, Norine, love Turkey and have served its people for the past 23 years. Pray that Andrew will be released immediately so that he and Norine can continue their ministry at Izmir Resurrection Church. Their nightmare began on October 7 when they were summoned to Turkey’s Interior Ministry. They thought they were being called to a meeting to discuss their application for permanent residency. Instead, they were arrested and detained. Norine was released after two weeks but Andrew was charged with having links to the Gulen movement which the Government blames for last year’s attempted coup. More than 40,000 people have been arrested on suspicion of involvement in the failed plot. In the past four years, at least 100 pastors serving in Turkey have reportedly been denied visas or permits, and forced to leave. Several pastors have been accused of being ‘a threat to national security’. Many fear the Turkish authorities are taking advantage of current insecurity to clamp down on Christianity. Ask God to protect, encourage and strengthen Andrew. As a foreigner, the American pastor has to apply to the Ministry of Justice for each family visit, while Turkish prisoners are allowed such visits once a week. Pray that Andrew will be freed soon. Pray that Andrew’s fellow inmates will be touched by his witness. Pray that Christians in Turkey will stand firm in their faith and not be discouraged by the recent crackdown. If you would like to make a gift to Release please click on the ‘Donate Now’ button.